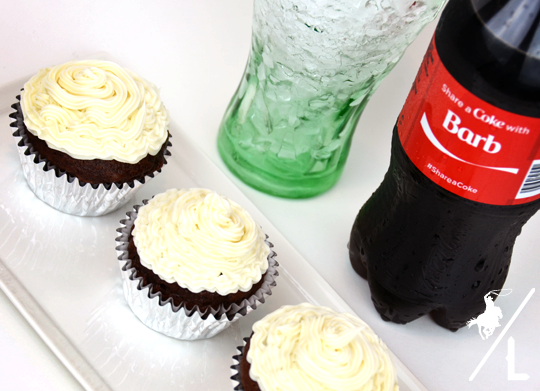 These Coca-Cola cupcakes are the perfect treat! They are moist, tasty and so easy to make! My dad has been working in Australia for the last eight months and just flew home for a 2 week stay to enjoy some family time. Since we haven’t seen in him for a few months I decided to have a little get-together with my family to catch up, hear about life down under and enjoy a refreshing Coke and Coca-Cola cupcakes. My dad has a bit of a sweet tooth and Coca-Cola is ALWAYS his drink of choice. Knowing that his soda intake has been a little less than he would like due to the fact that he is working on a remote island I had to make sure we had plenty on hand for the party. I also purchased a 20 oz. bottle with my mom’s name on it – I had to make sure she felt special. I don’t know how she handles being away from her husband for months at a time. In a large bowl add cake mix, vegetable oil, eggs and Coke and mix for about 2 minutes. Add batter to cupcake lined muffin tin and bake for approximately 15-18 minutes. Once cake is cool decorate with desired amount of frosting. Enjoy your delicious and extra moist Coca-Cola Cupcakes! Omigosh! Totally adding this to my recipe book! Thanks for sharing! Wow, these look amazing! This is perfect for a summer BBQ or any party. And the recipe is so simple, my kind of recipe. oh yes, she would love them! 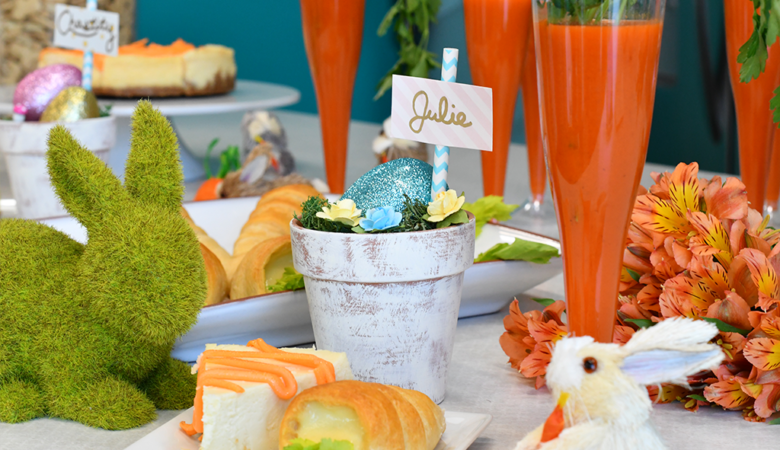 I am not a pop/soda person at all, but I am always looking for new and creative cupcake recipes and this one is definitely going in my books! 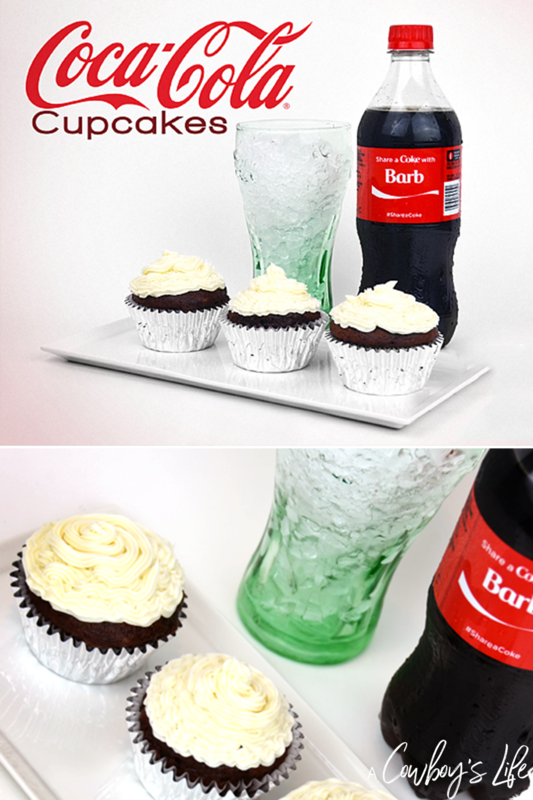 I love coca cola cake but never thought about making cupcakes! I love this idea, growing up the most I used soda in food was a coke float at our favorite restaurant! These look like so much fun! My husband and I were just talking about what a brilliant marketing campaign the whole "share a coke" thing ended up being. I thought it was kind of silly at first but people have really loved it. 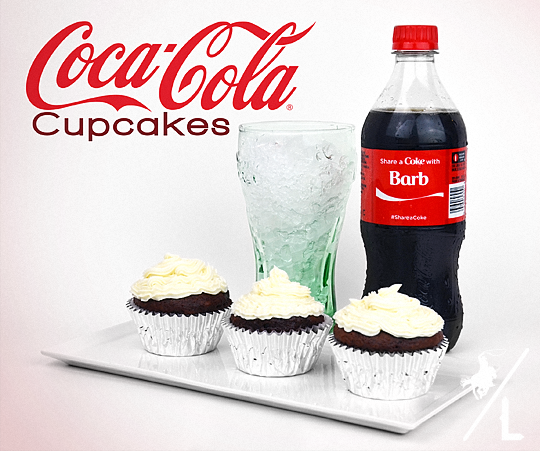 Also, I'm borderline addicted to coke so I must try these cupcakes very soon! Coke always has the best ad campaigns! You should make the cupcakes – so good. I love the Share a coke with idea, such brilliant marketing I think. Your cup cakes look good, I'm wondering how much of the Coke flavour comes through, I'll have to give it a try and find out! It just has a tiny hint of coke – I think it mainly helps it be really moist. These look amazing! 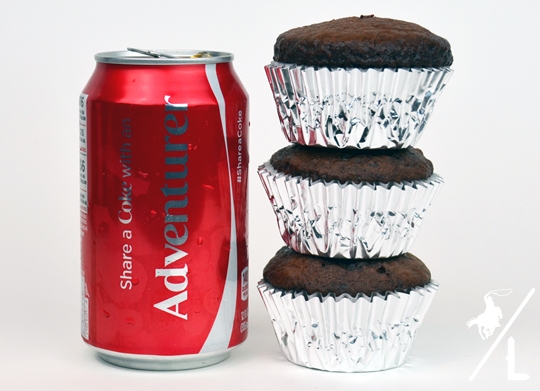 Coke is my fave…and putting it in cupcake form is genius!!!! YUM! I can imagine how delish these cupcakes must be and they look so moist, too! Oh yum! I think I have all these ingredients in my pantry right now. And the cream cheese icing looks like the perfect compliment to all that chocolatey goodness. Great idea! Looks delicious! I'm visiting from Creative Inspiration Link UP. Thanks for sharing! I absolutely LOVE Coca-Cola! 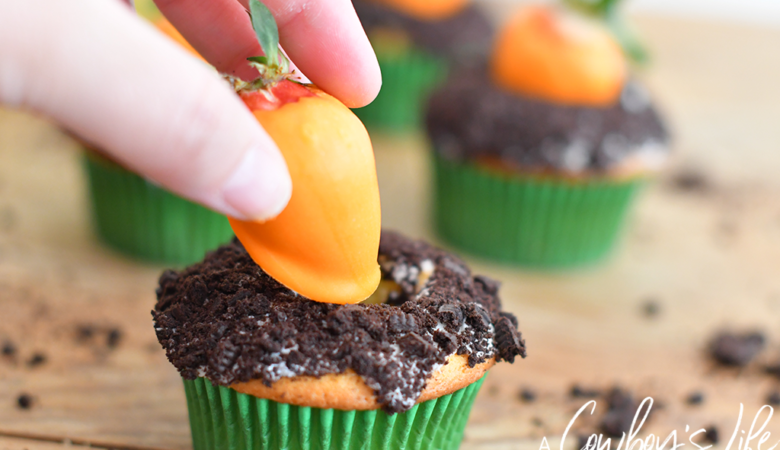 I cannot wait to try making these cupcakes! These sound delicious, moist is always good, I think I would try it with Coke Zero. Thanks for stopping by Oh My Heartsie Girl to share your blog this week!! Yum! I've heard such great things about making cakes & cupcakes with coke…I'm definitely going to be trying your recipe out the next time I have some on hand. Yum! I love Coca Cola! 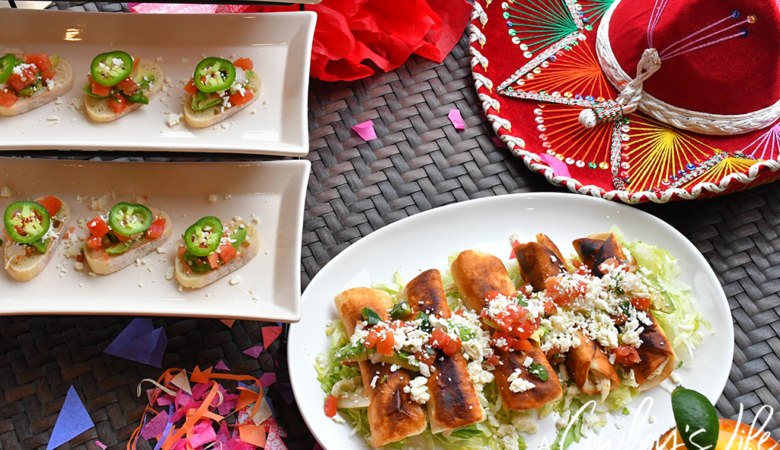 Thanks for sharing at the #HomeMattersParty. Well hello fellow Texan, I'm just a couple hours east of you!! Thanks for stopping by my link party! Yum!! Thanks for Sharing on My 2 Favorite Things on Thursday – Link Party!! Hope to see you again tomorrow!! Pinned!! We will love your cupcakes! Thanks so much for sharing your post with Full Plate Thursday. Hope you are having a great day and come back soon! Coke is my favorite drink, too. I would love to try these cupcakes! I'm sure your dad was thrilled to have his family AND favorite soda all in one stop. Oh My YUM!! I am adding these to my summer BBQ menu!! I am a Coke lover!! YUUUM! 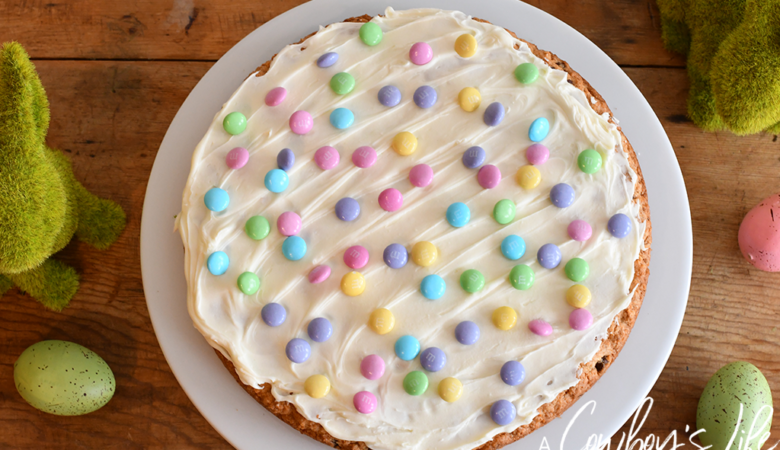 Thank you for linking up to Creative K Kids' Tasty Tuesdays via Creatively Homespun! I have pinned your post to our Tasty Tuesdays Pinterest Board! I hope to see you again this week! xo!